This is my favorite part of my favorite well known fairy tale. 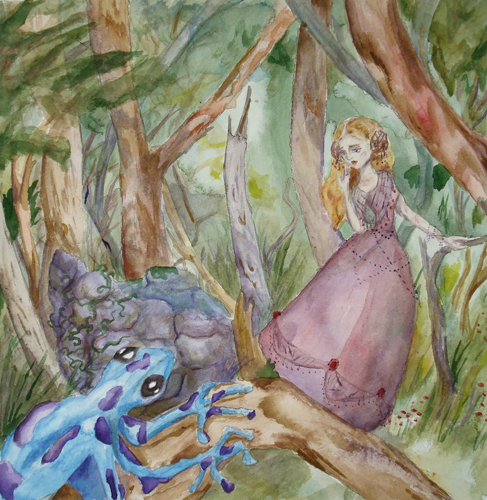 I thought it would be a nice twist if I used a poison dart frog as opposed to the traditional warty toad. Opportunity Knocks. Watercolor on paper. 9.5″x9.5″.